Below are mentioned various medical health articles, written by me for the general awareness of society and published in the lieu of public welfare. Do you get enough of ‘The Sunlight Vitamin (D)’ ? Over the years, a change in our lifestyle has led to increasing instances of Vitamin D deficiency among us. While it may not impact us directly in the short term, it has a detrimental effect on the human body over a period of time. Vitamin D is essential for strong bones because it helps the body use calcium from the diet. It’s also an important factor in making sure your muscles, heart, lungs and brain work well and that your body can fight infection. Vitamin D deficiency is more common than you might expect. Severe vitamin D deficiency can cause a condition called rickets in children and osteomalacia in adults, a disease which reduces calcium absorption and increases calcium loss from the bone thereby causing soft, thin, and brittle bones, leading to bending of the spine, bowing of the legs, proximal muscle weakness, bone fragility, and increased risk for fractures. If you shun the sun, suffer from milk allergies or adhere to a strict vegetarian diet, you may be at risk for vitamin D deficiency. You may be at risk of deficiency if you are homebound, live in northern latitudes, wear long robes or head coverings for religious reasons, or have an occupation that prevents sun exposure. For people who have dark skin, the pigment melanin reduces the skin’s ability to make vitamin D in response to sunlight exposure. Vitamin D is extracted from the blood by fat cells, altering its release into the circulation. People who are obese, with a body mass index of 30 or greater often have low blood levels of vitamin D.
How to get more of Vitamin D? Most of the natural sources of Vitamin D are animal based, including fatty fish and fish oils, egg yolks, beef liver, cheese, fortified milk, dairy, grain products. To increase the vitamin’s availability, it is added to dairy products, juices and cereals that are sold out as products “fortified with vitamin D”. But most vitamin D – 80% to 90% of what the body gets – is obtained through exposure to sunlight. Vitamin D, unlike most other vitamins, can be produced within the body when your skin is exposed to sunlight. Exposure of the hands, face, arms, and legs to sunlight two to three times a week for about one-fourth of the time it would take to develop mild sunburn helps the skin to produce enough vitamin D.
It’s amazing how quickly adequate levels of vitamin D can be restored by sunlight. 6 days of casual sunlight exposure without sunscreen can make up for 49 days of no sunlight exposure. Body fat acts like a storage battery for vitamin D. During periods of sunlight, vitamin D is stored in fatty fat and then released when sunlight is gone. Vitamin D is LIKELY SAFE when taken by mouth in recommended amounts. You can also get vitamin D by taking supplements. However, please consult a doctor before you take it as a supplement as dosage levels requirements vary for individuals. Researchers are now discovering that vitamin D may be important for many other reasons outside of good bone health. Bone loss in people with hyperparathyroidism, and an inherited disease (osteogenesis imperfecta) in which the bones are especially brittle and easily broken. - Cardiovascular function: It is effective in maintaining healthy conditions of the heart and blood vessels, including high blood pressure (hypertension) and high cholesterol, thereby reducing the risk of death from cardio vascular diseases. - It is used for obesity, rheumatoid arthritis, premenstrual syndrome (PMS), and tooth and gum disease. - Some people use vitamin D for skin conditions including vitiligo, scleroderma, psoriasis, actinic keratosis, and lupus vulgaris. Pregnancy and breast-feeding: Vitamin D is LIKELY SAFE during pregnancy and breast-feeding when used in daily amounts below 4000 units. Higher doses might harm the infant. Kidney disease: Vitamin D may increase calcium levels and increase the risk of “hardening of the arteries” in people with serious kidney disease. This must be balanced with the need to prevent renal osteodystrophy, a bone disease that occurs when the kidneys fail to maintain the proper levels of calcium and phosphorus in the blood. High levels of calcium in the blood and Atherosclerosis (Hardening of the arteries): Taking vitamin D could make this condition worse. Sarcoidosis, histoplasmosis, over active parathyroid gland (hyperparathyroidism), Lymphoma : Vitamin D may increase calcium levels in people with these diseases. This could lead to kidney stones and other problems. Aluminum, which is found in most antacids, interacts with Vitamin D. Vitamin D can increase how much aluminum the body absorbs. This interaction might be a problem for people with kidney disease. Vitamin D must be taken two hours before, or four hours after antacids. Vitamin D Toxicity – When too much of Vitamin D is bad for you. Vitamin D overdose causes hypercalcemia which if not treated, results in excess deposits of calcium in soft tissues and organs such as the kidneys, liver, and heart, resulting in pain and organ damage. Symptoms include: Weakness, fatigue, Anorexia, nausea, and vomiting, frequently followed by excessive urination, increased thirst, weakness, insomnia, nervousness, pruritus, and, ultimately, renal failure. Vitamin D toxicity is usually treated by discontinuing vitamin D supplementation and restricting calcium intake. Exposure to sunlight for extended periods of time does not normally cause vitamin D toxicity. Within about 20 minutes of ultraviolet exposure in light-skinned individuals (3–6 times longer for pigmented skin), the concentrations of vitamin D precursors produced in the skin reach an equilibrium, and any further vitamin D that is produced is degraded. Dr. G Sugandh, an MD who has specialised in Forensic Medicine and is a Medico legal consultant. She is a resident of The Icon in DLF5, Gurgaon and has a keen interest in writing on medical topics and also regularly contributes to various journals. Her hobbies include travelling and exploring new places and she maintains a travel blog at ”atravellersdiary.com”. Turmeric not only adds flavor to food but works wonders like improving complexion, removing acne and blackheads. Mix 2 teaspoons of thick yogurt, one big spoon of honey and half a teaspoon of turmeric. Mix well to form a thick paste. Apply on the skin and leave for 20 minutes. The mask is an excellent recipe for de-tanning, dryness and early signs of aging. This works well for oily skin. 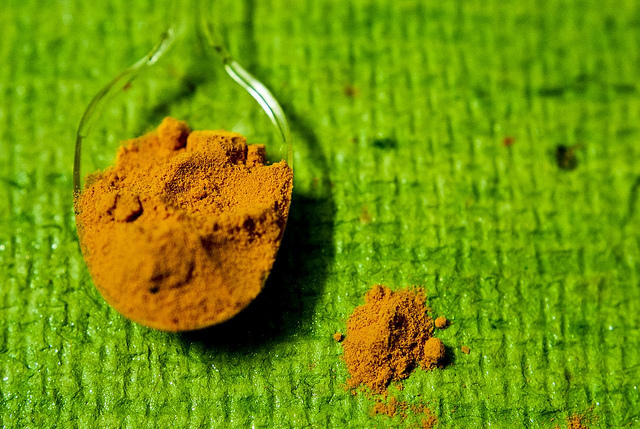 Take turmeric with sandalwood powder. Add rose water to make a paste and leave on for 15-20 min. Wash off with lukewarm water. It will leave your skin glowing and pimples will vanish. Use this regularly for best results. If you have dry skin, apply a fine mix of turmeric with olive oil or sesame oil. The skin will be moisturized and pimples will fade away. Apply a thick paste of 1 tsp turmeric powder, 2 tsp rice flour and 3 tsp yogurt on clean face. Wash off after 15-20 min. Your skin will get cleansed and moisturized instantly. If your skin is dry and dehydrated, apply a paste of turmeric and milk to get soft looking skin. Turmeric may cause redness and tingling in some people, never apply more than 15-20 min. It may leave a yellow tinge, so wash off properly and use small amount. Hypertension also known as high blood pressure (BP) is a chronic and serious medical condition in which the blood pressure in the arteries is elevated higher than 140 over 90 mm of Hg . Hypertension can strain the heart, damage the blood vessels and increase the risk of heart attack, stroke, kidney disease and death. It may eventually cause health problems, such as heart disease. FACT: A normal ideal blood pressure is 120 over 80 mm of hg, however, a variation is normal in each individual of up to 140 over 90 mm of hg. MYTH: Should I stop salt if I am having bp/ hypertension? FACT: Not necessarily. However a strict and healthy diet, (no more than 6m of sodium chloride), healthy weight and physical exercise is sufficient to control marginal case of hypertension. MYTH: Should I take medicine only when bp is high? FACT: Irregular intake of medicine, or no medicine when needed can lead to complications like heart attack, stroke, vision loss, and memory loss. Once diagnosed, medicine must be taken regularly and follow ups done. FACT: Chronic headache, black outs, giddiness are few signs to get your bp checked. MYTH: How often should I get my bp checked? FACT: For non-risk young individual, once every 6 months and once in 3 months for people at risk. MYTH: Who are the people at risk? FACT: Elderly people, obese, people with unhealthy diet habits, family history of hypertension, cardiac patient, and pregnant ladies are at higher risks. MYTH: How can hypertension be treated? FACT: Brisk walk, yoga, meditation as individual health permits. MYTH: Once a patient of high bp, I will be a lifelong patient. Fact: not necessarily. With strict precautions and healthy habits, it can be controlled and gradually medicine tapered.